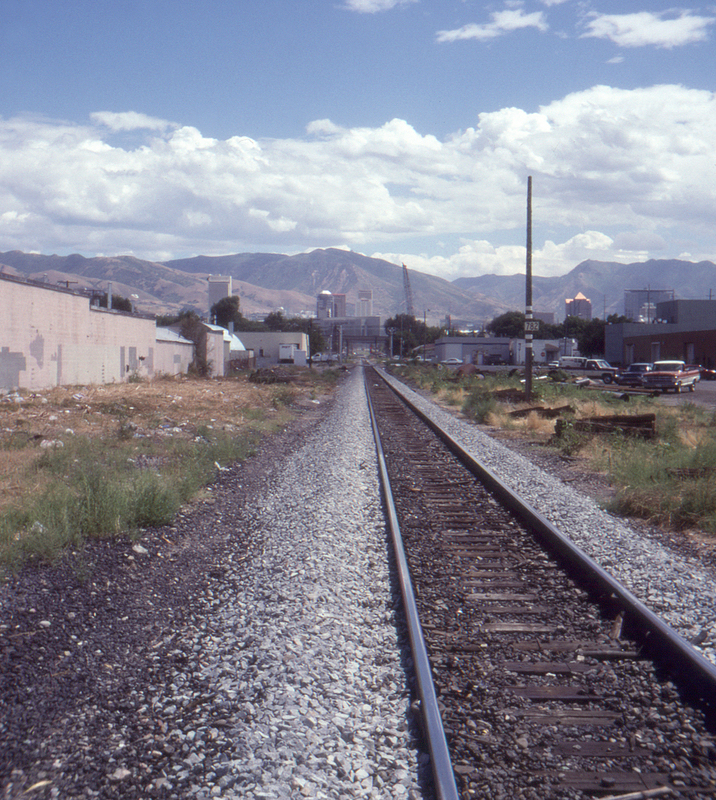 Fresh from crossing the Wendover salt flats and the southern edge of the Great Salt Lake, the Western Pacific mainline takes aim for downtown Salt Lake City, seen here at 1000 W Street. Ahead is the joint Denver & Rio Grande Western/Western Pacific depot, still used today by Amtrak's California Zephyr. Alas, by this time the Western Pacific had been long since swallowed up by the Big Yellow Monster from Omaha.